A Queen’s 2013 Computer Science graduate from Belfast – Debbie Craig – is using skills she honed at University to create an innovative new software platform to support children, families, educators and those working with autism. Limejar, the company founded by Debbie in January 2014 as a way to develop products to empower autistic children, is aiming to raise £50,000 through a crowdfunding campaign to bring to market ‘Boop’, a software platform she believes could help those with autism and their families globally. At present, Limejar is building 'Boop', a technology solution designed to engage with every person important to the autistic child, including the child themselves. 'Boop' is an online web platform for caregivers that syncs directly with an iPhone, iPad and Android app for autistic children to help develop their independence and build skills for life. ‘Boop’ started life as part of Debbie’s final year project at Queen’s. Tailored to the needs of each user, it aims to bridge the gap in communication between home, health and education. A combined approach to using common strategies and interventions, 'Boop' has an abundance of resources including creating visuals, monitoring targets and tracking mood changes. One of Debbie’s four children, Nicholas, was diagnosed with autism during her first year at Queen’s. 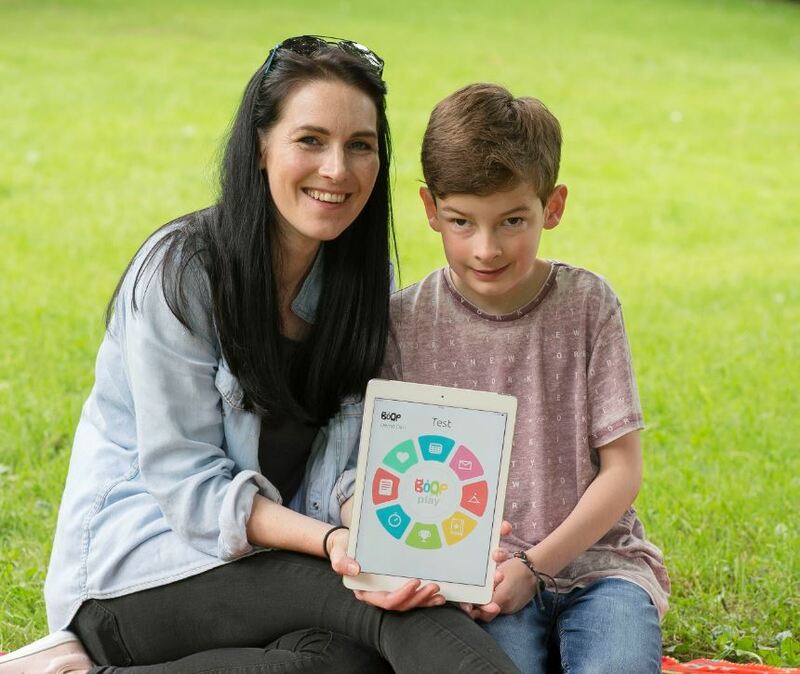 Irritated by the lack of effective tools to aid Nicholas’s development and working hard to understand his day-to-day needs, Debbie developed a beta version of ‘Boop’ within a year of graduating, raising £70,000 in grant funding in the process. 'Boop' promotes independence in children through supporting them with integrated tools designed to help accomplish tasks and reach goals. Aiming to make it easier for children to understand their world, 'Boop' can help to relieve stress and anxiety in children. 'Boop' has two distinct elements – the first, solely for the child, is fun and interactive and helps the child to visualise their day with all the information they need at the exact moment they need it. The other aspect is a remote website login for parents and educators which links them directly to the child's interface, keeping them connected, and allowing them to collaborate and assess progress together. Through the online platform Boop enables caregivers the ability to remotely create a personalised environment, to support each individual child, which syncs straight to whichever device the child is using.